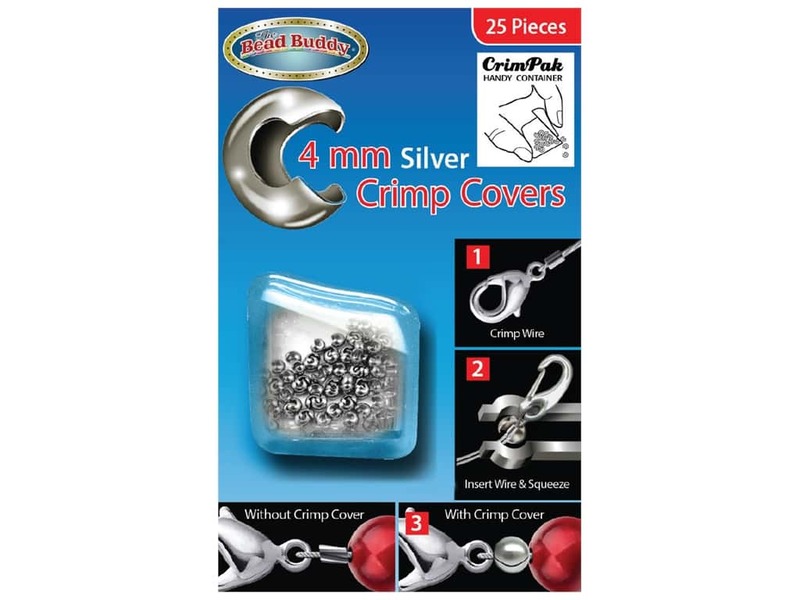 Description: Bead Buddy Crimp Covers can be applied over the previous flattened crimps, making it look like a round metal bead. Must use Bead Buddy Cover Closing Pliers, sold separately. 4 mm (1/8 inch). 25 pc. Silver.